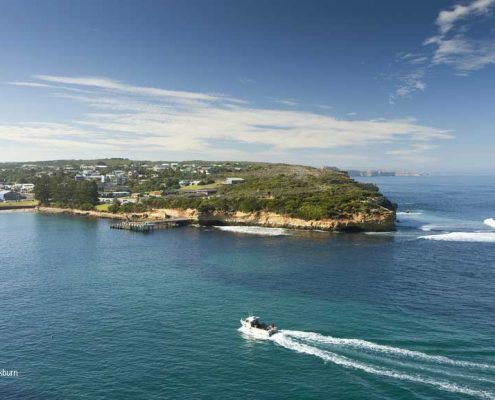 Port Campbell has one of the safest and most spectacular harbours along the Great Ocean Road. A refuge for boats when seas are rough and a great place for a swim in an area where safe swimming spots are few and far between. 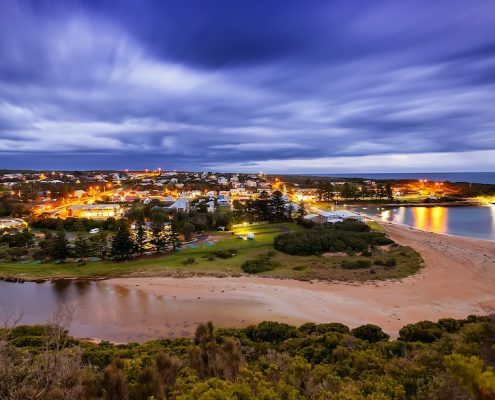 Port Campbell used to be a sleepy, little fishing village but now has an almost cosmopolitan feel – very colourful and very lively, with a parade of various shops along the main street. Art galleries and a host of different and vibrant shops along with cafes and restaurants are always busy, a testament to the quality of their goods. 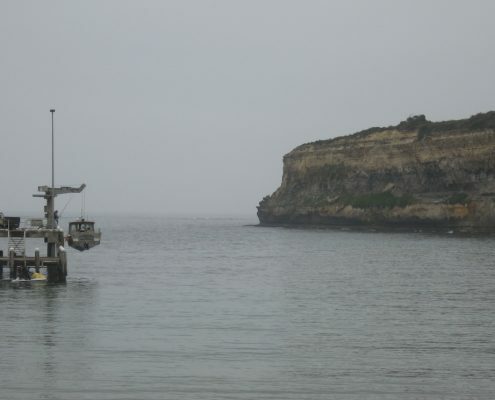 However, it is not shopping that lures tourists to this small, fishing village. It’s the scenery! 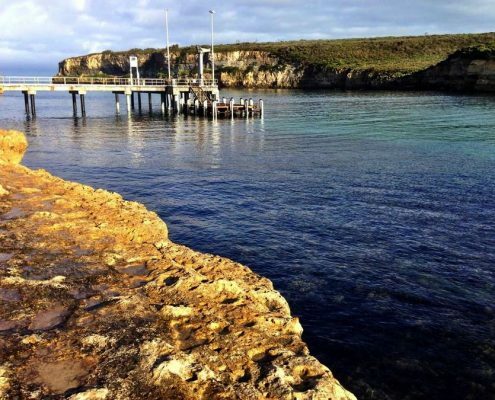 Port Campbell is a great spot to base yourself to check out the amazing coastline – given the name of the shipwreck coast. Many unfortunate ships have come to grief along this treacherous coastline. 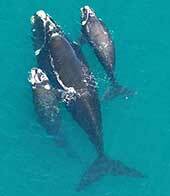 The most well known of these was the Loch Ard and when you visit this area Loch Ard Gorge is one of the MUST SEES! In addition to the stunning location you will learn of the unfortunate circumstances of this ship and the heroism of one of its survivors. A riveting tale! 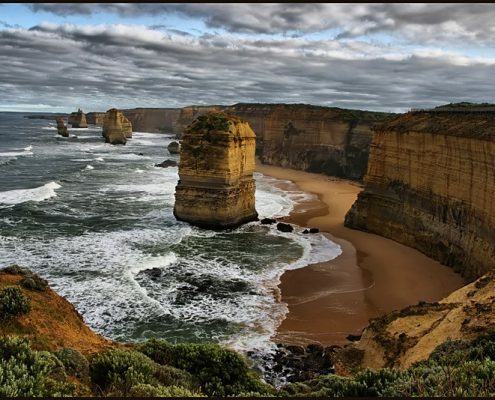 Every visitor to Port Campbell will have one major attraction that they simply must see – the 12 Apostles. These limestone stacks have been attracting tourists to this region for decades and their appeal doesn’t seem to be diminishing. The viewing area for the 12 Apostles now has a good boardwalked area which can accommodate lots of people. The best time to visit is either sunset or sunrise. Keep your eyes open for penguins returning home at dusk after a hard day’s fishing. The 12 Apostles really is only the start of your journey when it comes to checking out this coast’s amazing coastal formations. There are more things to see than you realise! 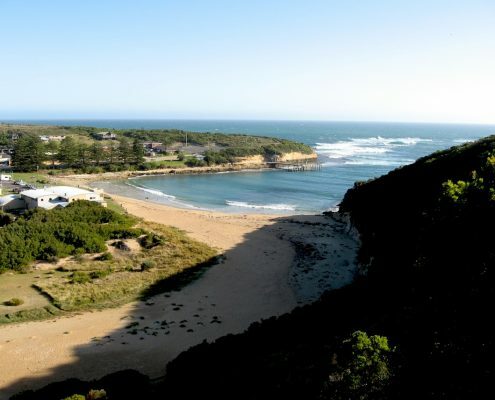 Give yourself at least a few days here to soak in the beauty of the place and enjoy some quality Port Campbell accommodation. 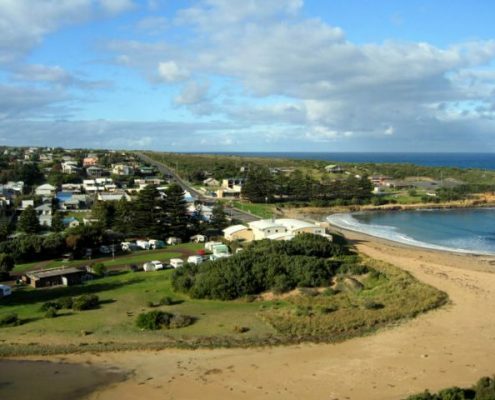 If you are after top end accommodation near the 12 Apostles on the Great Ocean Road then you need look no further than Anchors Port Campbell. 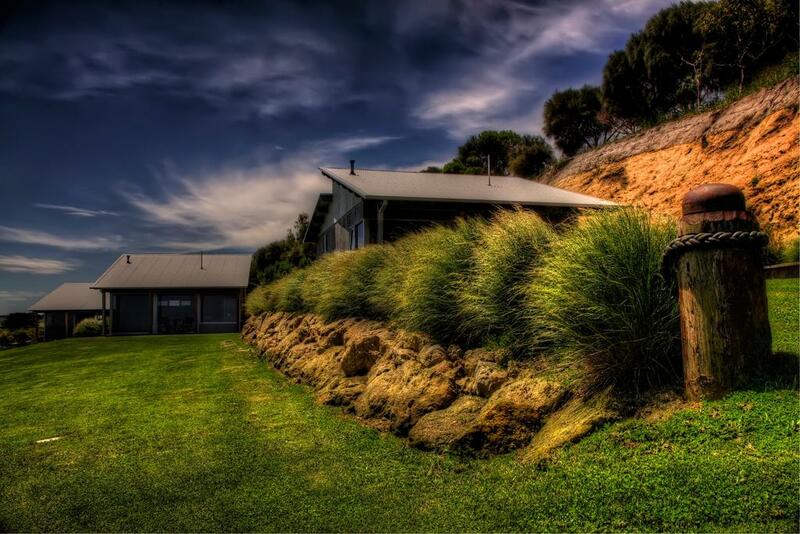 Three very private, modern villas, each identical with large open plan living, elevated bedrooms and spa bath with a gorgeous outlook over the rolling hills of Port Campbell. The villas are positioned with privacy in mind and screened effectively. Anchors is a luxury, rural retreat offering both self contained villas and a luxurious, beach house. This is the type of accommodation to come back to after a day sightseeing along the Great Ocean Road. Port Campbell accommodation at its best. 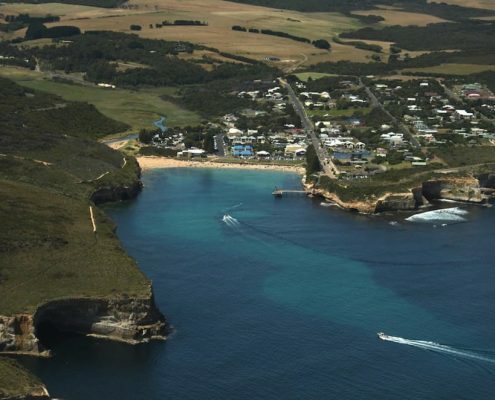 Port Campbell Guesthouse & Flashpackers is brand new accommodation right in the centre of Port Campbell offering quality accommodation in the budget end of the market. New motel suites offer motel style accommodation with everything you will need for couples or families at exceptionally competitive rates. Or choose to stay in their guesthouse or backpacker accommodation which is perfect for single travellers or the budget conscious. Guests staying in the backpacker suites have access to a communal lounge and sitting room, kitchen and a choice of bunk style (with 2 single beds), double or twin rooms. 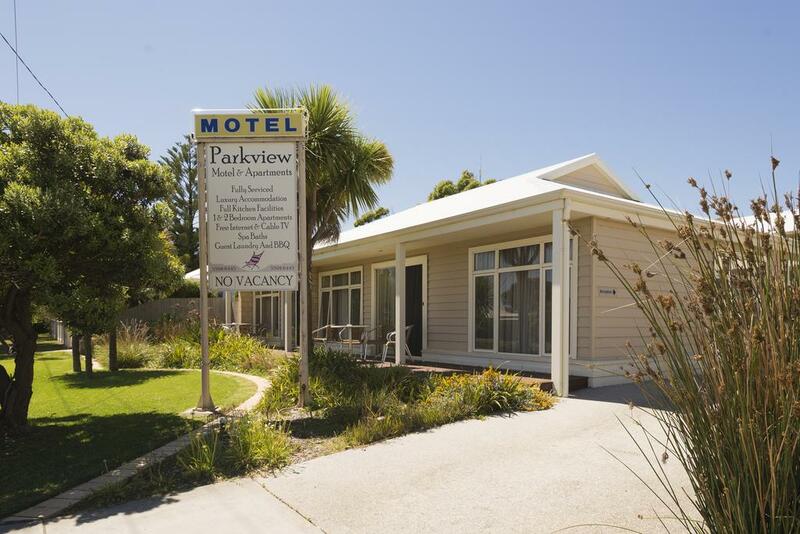 Parkview Motel & Apartments is located right in the heart of Port Campbell. They have on offer a wide variety of accommodation options. Everything from budget motel accommodation to luxury spa apartments & two bedroom suites ideally suited to families. They also take great pride in offering first class disability accommodation. 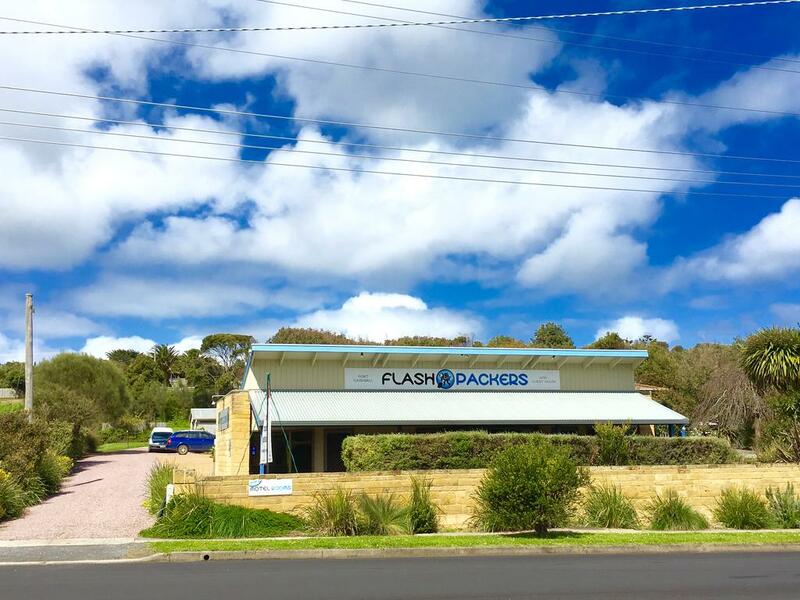 Ph: 1300 137 255 26 Morris Street, Port Campbell. 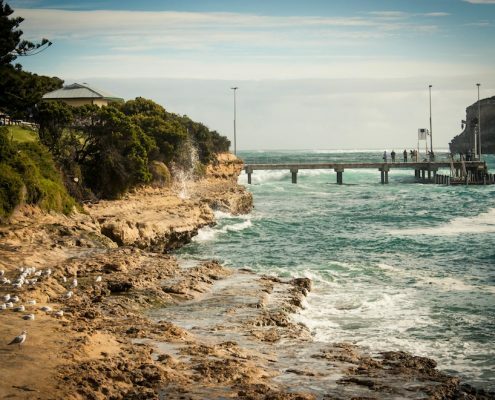 Everything you’ll need to know about the Great Ocean Walk.